This is the latest Sky+HD box from Sky. Stylishly designed in a dark (black colour) and is much smaller in size than previous HD models. Ideal for people who need more space and who record a lot of HD programs. 14 day Money Back Gurantee: If you are not entirely satisfied with this Sky+HD box we will issue a refund. CAN I USE MY EXISTING VIEWING CARD? Yes if it is white in color. Goto: http://activatemychannels.sky.com or use the My Sky App on your mobile device (Manage TV Account > TV Settings > Activate), If you cannot perform the other two methods or they fail for some reason then Sky can pair your card remotely if you give them a call. 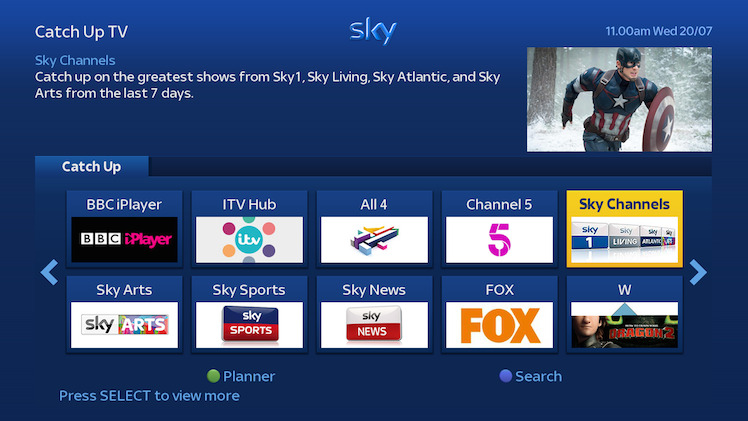 Take charge of how you watch TV with the Sky+HD box – it’s easy to connect to all the on demand entertainment available to you. This box has RF 1 and 2 Outputs which allows you to view and control your Sky channels on other TV’s around your house without the added expense of a multi room subscription. CAN I USE MY EXISTING VIEWING CARD? Yes if it is white or red in color.